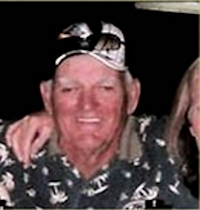 Obituary – Hodge, Jack Lynn « Perry High School Alumni Association, Inc.
﻿F.F.A. 52-53, Football 52-54, Wrestling 52-54, Baseball 52-54. Funeral services for Jack Lynn Hodge, age 70, of Moore, Oklahoma are scheduled for 1:30 p.m. Friday, January 18, 2008 at the First Presbyterian Church with Pastor Randy Coleman officiating. Interment will be in the Grace Hill Cemetery. 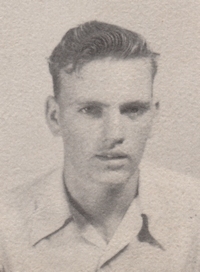 Mr. Hodge was born March 3, 1937 Southeast of Perry to William E. and Hazel (Blanchard) Hodge. He attended his high school years in Perry, Oklahoma, and attended Life Church in Oklahoma City, OK. He was in the oilfield business most all his life and was currently employed with Gator Petroleum. He enjoyed golfing, hunting and fishing. He passed from this life January 11, 2008 in Tecumseh, OK.
Mr. Hodge has two brothers Bill Hodge [deceased] wife Shirley and families; Dan Hodge and wife Dolores & families, and one sister Louise Lovekamp & family all of Perry, Oklahoma. He leaves a widow Sandi Hodge of Moore, Oklahoma. Jack has three children and 6 grand-daughters. Son Victor Lynn Hodge preceded him in death and had one daughter Victoria Lynn Hodge, and two step-daughters Caitlin and Callie Tomlinson of Fort Cobb, Oklahoma. One daughter Cassie Lee Cummings and her husband Greg of Key Largo, Florida and Stillwater, Oklahoma, and a son James [Jim] Hodge of Edmond, Oklahoma. Jim has three daughters Logan Beth Hodge, Lacey Erin Hodge, and Lexi Linn Hodge of Yukon, Oklahoma. Two step-sons Don Trammell & family of Lindsay; John Trammell & family of Norman; Two step-grandsons Josh and Jacob Trammell of Lindsay. Seven step-grand-daughters Marsha and Shae Trammell of Houston, TX; Bailey Trammell of Blanchard; Karlee & Kate Trammell of Norman, Kiara and Makayla Trammell of Lindsay, and 1 great-step-grandson Ryder of Lindsay, Oklahoma. He is also survived by several nieces, nephews, relatives and extended family, and many good friends. Pottawatomie County authorities have released the name of a Moore man who was found dead Friday, Jan. 11, 2008, in an oil pit at a work site near Brooksville. Pottawatomie County Sheriff’s Investigator Jim Patten identified the man as 70 year-old Jack Lynn Hodge. Hodge was an employee of Gator Petroleum Services, Patten said. He also lived in a trailer on the worksite, 26531 Old Highway 18, just south of the Brooksville turn. For unknown reasons, Hodge was near the oil pit area sometime late Thursday night, where there are several underground pits containing about four feet of oil. He was found in a pit Friday morning and his pickup was parked nearby. There was no ladder in this particular pit. It appeared that Hodge had tried to exit the tank before possibly being overcome by fumes. Investigators believe the man’s death was an accident.